James – Early Years – for making the right choices and being very positive about his learning and friendships in school. WOW…what a fabulous day to be writing the Head Teacher’s blog. We have all had another super week. However, I am incredibly proud today of the Team GB community and in particular the staff and children in year 6. Today, they have held their Macmillan Coffee afternoon and it was staggering to see the support from so many of you. All afternoon the school has been a buzzing hive of support, generosity and kindness. 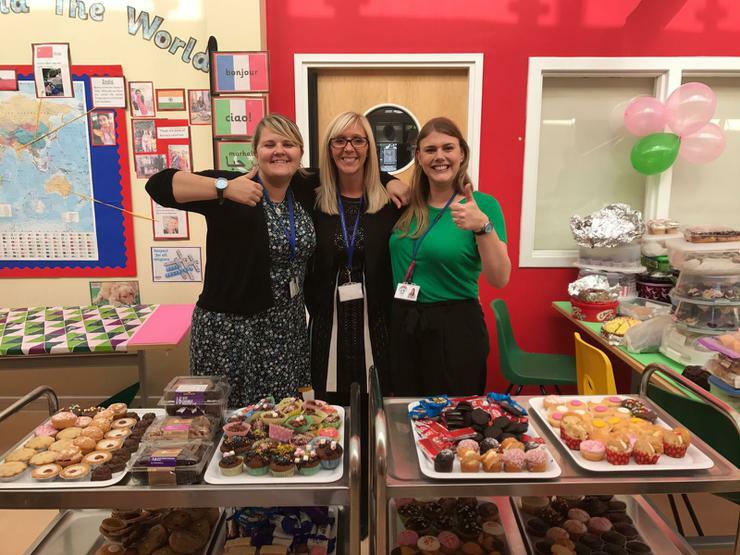 For the last two weeks, the staff, parents and children of year 6 have been preparing for our first Macmillan Coffee Afternoon in a number of years and the efforts have been truly amazing. The children have worked like young entrepreneurs and organised the whole event: raffles, prizes, posters, persuasive letters to parents and carers, baking, tokens for the whole school and much much more. Watching everyone at work has been truly wonderful and emotional for some at times! We all probably know that special someone, who has either had, or has, cancer and or we have sadly lost due to the cruel disease. Today showed the support to the Macmillan nurses and support teams out there who live their lives day in, day out supporting the people who need it most. Today marked that respect and support, and everyone at Team GB thanks you for turning up, donating, baking, selling and again much much more! The donations and sales are still being collected and counted, but I can say that when I last checked the amount raised so far, it exceeded a staggering £1000! AMAZING and it makes me so proud of everybody within the community of Greasley Beauvale Primary School! A special mention has to go to Miss Busby and Miss Marvin for organising such a successful event! Right from the start, they were passionate and enthusiastic about supporting this very worthy charity and I congratulate and commend them on their success. 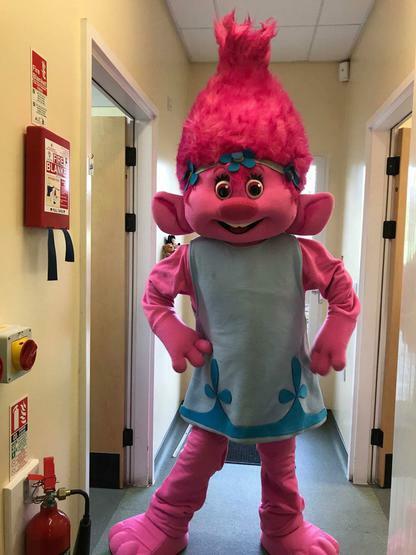 Caitlin, one of our year 6 pupils, was also an absolute star and I would like to thank her for her beaming smile, energy, commitment, passion and PERSUASION whilst selling all of those raffle tickets! Many parents mentioned her during the afternoon hence this special thank you and mention. The raffle was a huge hit and we do still have prizes in school ready for many of you. Prizes that can go home with a child will be distributed on Monday. However, for those who won alcohol, for example, we will contact you regarding collection from the school office. We will also continue with the children’s raffle on Monday morning during assembly. During Monday playtime, we will also be distributing the leftover cakes to any children who would still like to give a contribution to the Macmillan fund. We also still have some of the Macmillan badges, which are selling for just £1. 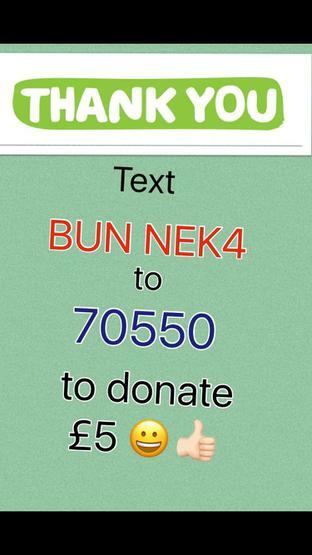 For anyone also still wanting to donate £5, you can text BUN NEK4 to 70550. Thank you SO much! I look forward to confirming the final amount with you as soon as possible and once again a HUGE thank you to everyone involved.